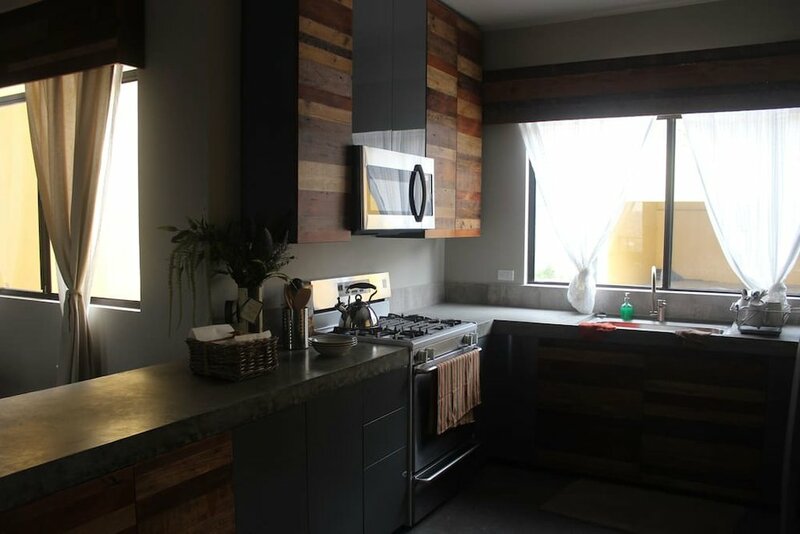 Our home for this retreat is a brand new home in Tijuana with custom built furnishings and everything needed for a relaxing and fun getaway. 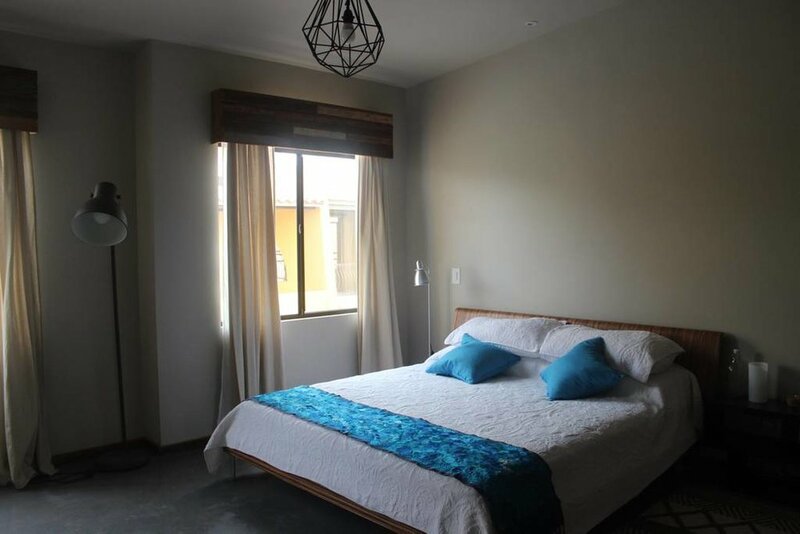 It is located in a gated community and we will enjoy incredible views of the whole city. We are also within minutes of all the best places in town. It is said that when you live in Mexico it seems like there is always some sort of fiesta or parade, whether it’s a religious festival, civic celebration, neighborhood gathering, or just friends getting together. That said, we will definitely try to live like locals during this Spanish retreat. This retreat is special in that not only will the coach be Fiel Sahir from the Between 3 Worlds podcast BUT we will also be joined by Lukas Van Vyve Founder of The Polyglot Life. Lukas will be joining us to learn Spanish. Can you think of a better way to learn a language than by spending time with and watching a polyglot learn?? I can’t! You will get the chance to see how he learns and what tricks he uses to make learning more successful! Once you arrive at your home for the week you will have some time to get settled and relax a bit. We will have a welcome dinner, get to know the amazing people that will be on this journey with you and explore the neighbourhood for those who aren't jet-lagged. Each day of the retreat starts with breakfast and some classroom time. As soon as the classroom time is done we are going to start the trip off by diving right into the culture by visiting the The Tijuana Cultural Center. 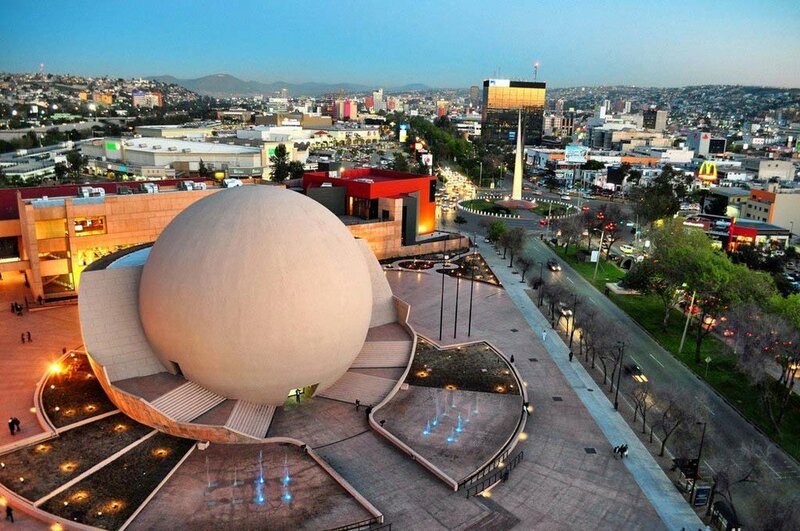 This is a modern museum with exhibits, installations on Mexican history and culture, an IMAX theatre and a large choice of cultural events. As a group, you will decide what to see and how long to stay once there. If you like coffee, vinyl, street art or performances-this is the place to go. This long walkway connects two parallel boulevards and it's just a great walk. The walkway is filled colourful artwork and small businesses on either side, but don’t worry the storekeepers are young and will not aggressively hassle you to come into their store here. Since the walls are covered in cool murals, why not take the time for some awesome photos? That’s right! A piñata workshop with authentic artists. We’ll be picked up at Tijuana's Revolucion "El Arco de Tijuana” and walk to the workshop. On the way we will pass a piece of architecture which believe it or not was once an iconic Piñata structure that used to house a big restaurant and museum. Once there we will meet Mr. Ortega and his family; the piñata artists and instructor. They'll give us a brief introduction on the history and process of piñata making. 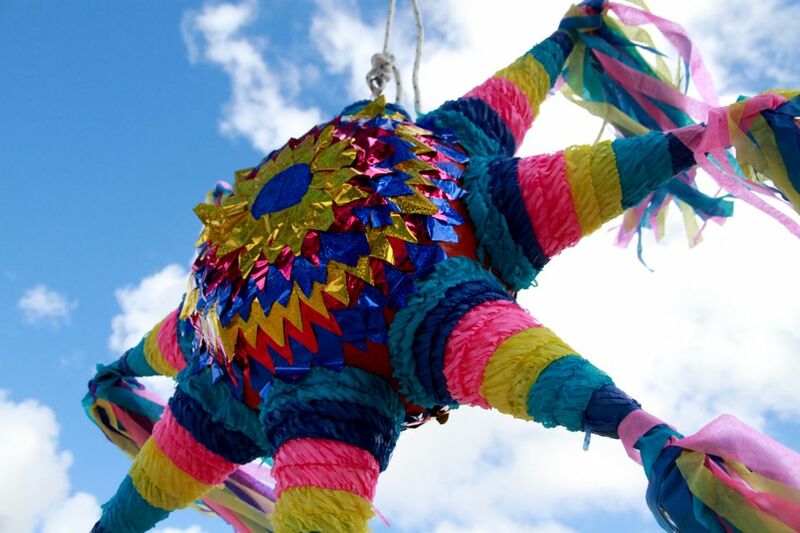 Part of the Piñata tradition is to celebrate in a "fiesta" so be prepared for lively music, traditional Mexican candy, snacks and beer to make this experience something unique. To finish the afternoon we walk towards "Cine Tonala" a concept that offers independent cinema, gastronomy and artisan mixology on an amazing terrace overlooking the heart of the city where you will enjoy a local beer. After a full day of fiesta, it’s now time to get hands on with our learning and enjoy some time at The Trompo Interactive Museum. We will be using all of our senses today to start bringing the language together. Today the hilltop streets of Tijuana are filled by vendors so massive – blocks and blocks of vendors selling mountains of the most random secondhand loot. Even if you make your way out of the bargain bin maze without dropping a single peso, you’ll walk away having lived an essential Mexican experience. You have just completed your first week and it’s time to relax and celebrate your progress. Today we will be going to Valparaiso Aguas Trembles. Relaxing thermal baths and spa in the middle of a natural environment of the native forest. 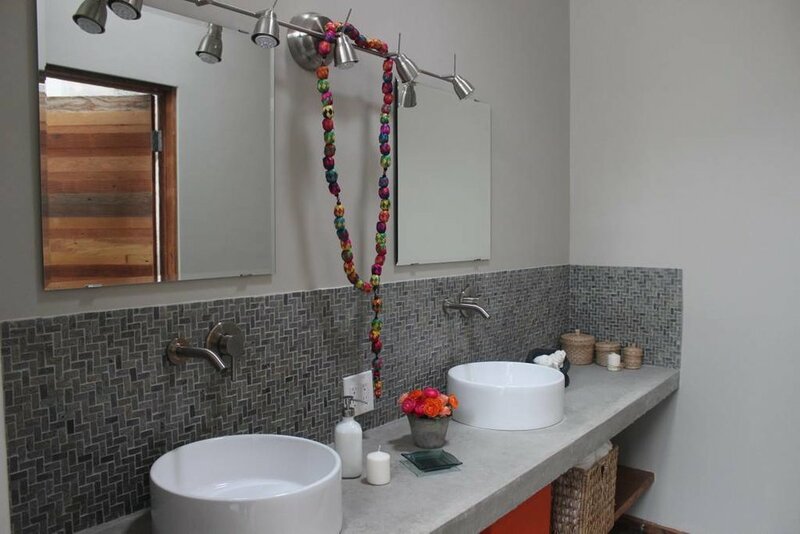 Here we will have full access to a cold water pool, thermal water, jacuzzi and sauna. Not only are you going to be putting your new language skills to use but you will also be using them for a scavenger hunt in the city. Be the first to find the Glorieta Diana Cazadora (A fountain of Diana the Huntress), Mural de Pepe Nacho and many more. DAY 9 - SEE FOR YOURSELF JUST HOW FAR BACK THE HISTORY HERE GOES. El Vallecito is an archaeological site located in the city of La Rumorosa, in the Tecate Municipality, Baja California, Mexico. It is believed that Baja California had human presence for thousands of years, however the available evidence indicates an occupation approximate from 8000 BCE. After our classroom time we will head to the Parque Morelos to enjoy some green space and if tempted visit the zoo or botanical gardens. Once we leave the park, you will have some free time to continue visiting or possibly do a little souvenir shopping. You are also welcome to go back to the house and just relax for a while. We will regroup for an early dinner before heading to the Caliente Race Track for a traditional Greyhound race. Back to The Tijuana Cultural Centre to discover any of the exhibits that were missed and possibly a movie. The Boardwalk in Playas de Tijuana is a circuit of four miles of interconnected pedestrian bridges from the Azteca Park to the border with the United States of America. Here you can see the Mexican-American border (a wall) run into the Pacific Ocean. Along the boardwalk you will see diverse murals, shops from local artisans and a wide variety of Mexican snacks to try. On the main strip you will find a variety of fresh seafood restaurants serving fish tacos, oysters and shrimp cocktails. Catedral de Nuestra Señora de Guadalupe has been called calming, a must visit and serene. See for yourself what makes this church right in the centre of Tijuana so special.